It’s that time of the month for chocolate cravings. I had nothing ready made that would satisfy my sweet tooth so I decided to make cookies. But what kind of cookies? Chocolate chip weren’t going to be chocolatey enough for my hunger. Going through my baking supplies I found a bag of Reese’s Peanut Butter chips. The recipe on the back of the package was a start but the 3/4 cups cocoa wasn’t going to be sufficient. I made a couple of tweeks to it and they were nearly perfect. 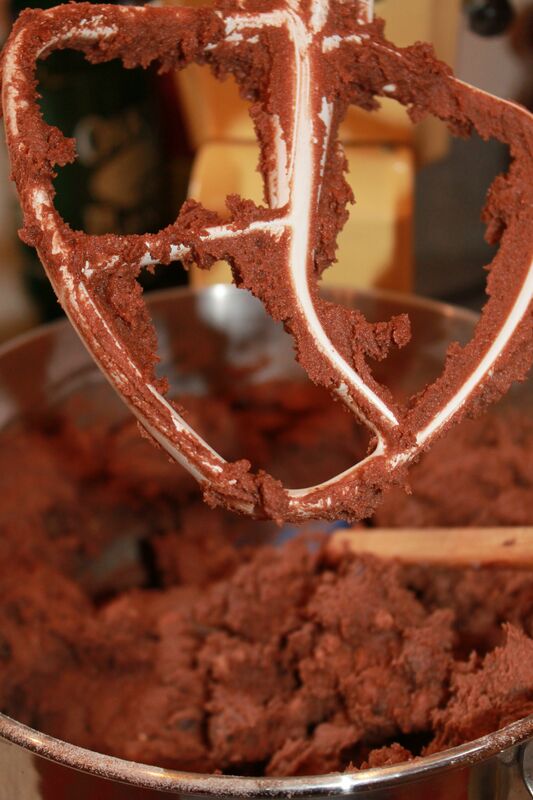 Mix together flour, cocoa, baking soda and salt and set aside. Cream together butter and sugar. Add in eggs and vanilla and mix well. Gradually all flour mixture and beat until combined. Stir in chips. Drop by rounded teaspoons onto ungreased baking sheets. Bake for 8-10 minutes. Cookies will puff while baking and flatten while cooling. Cool slightly before removing from sheet and letting cool on wire racks. 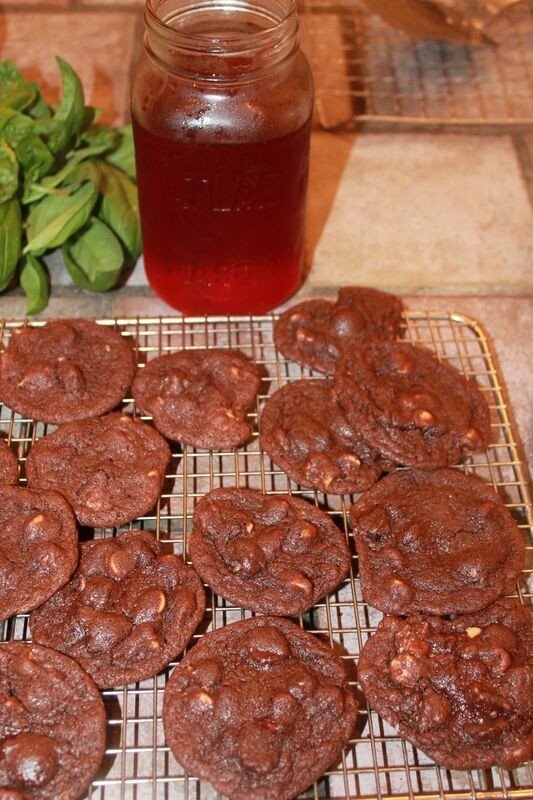 The mason jar is filled with strawberry wine that went remarkably well with the cookies.